Support your Philadelphia 76ers in this Blue Short Sleeve Fashion Tee! 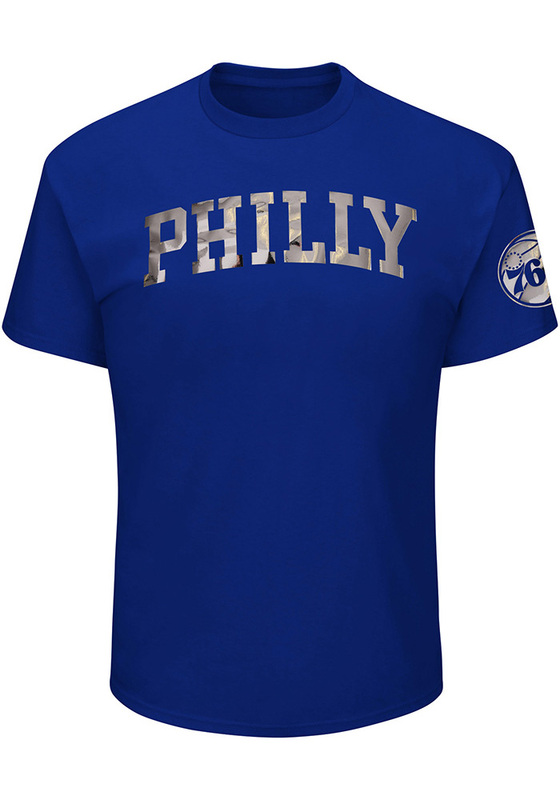 This Mirror Tek Patch Fashion T Shirt features a Short sleeve tee with team graphic on chest.. Be ready to shout "Go 76ers" when you wear this Philadelphia Short Sleeve Fashion T Shirt in the stadium or on the street. I was looking for an Indians shirt with the script lettering AND Chief Wahoo both on it. This shirt was perfect for what I wanted. Four stars for sizing, though. I normally wear a size small and took a medium in this men's sized shirt! Of course, I was allowing for some shrinkage. I washed and dried it on low heat before wearing, and it did slightly shrink.